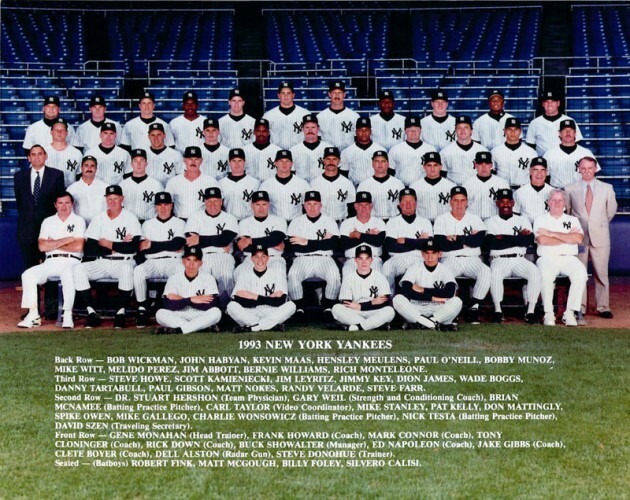 1993 New York Yankees team photo, my second season as a batboy. 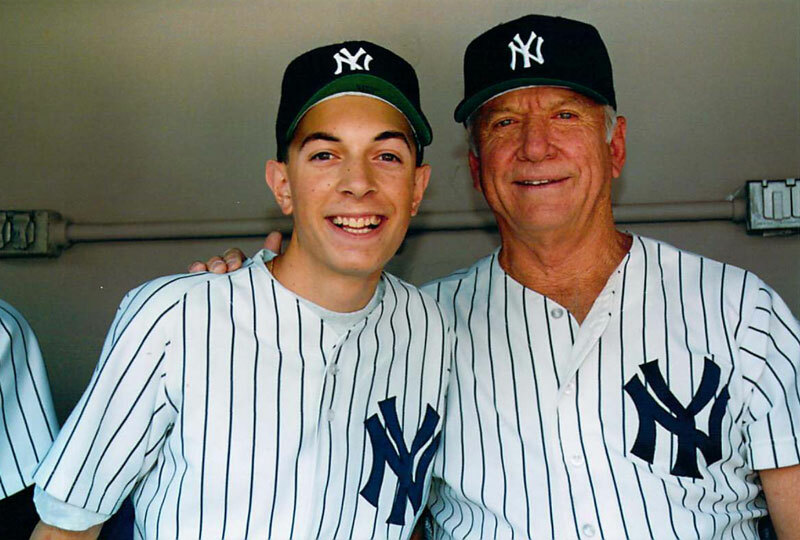 With Mickey Mantle in the Yankees dugout on Old Timers Day. This photo must’ve been taken in 1993 — I doubt I would have had the guts to ask “The Mick” to pose for a photo as a rookie. Making a pine tar rag at my boss Nick Priore’s Ruth-era picnic table in the middle of the Yankees Clubhouse. Those two dozen balls set out on the table are there for the team to sign. 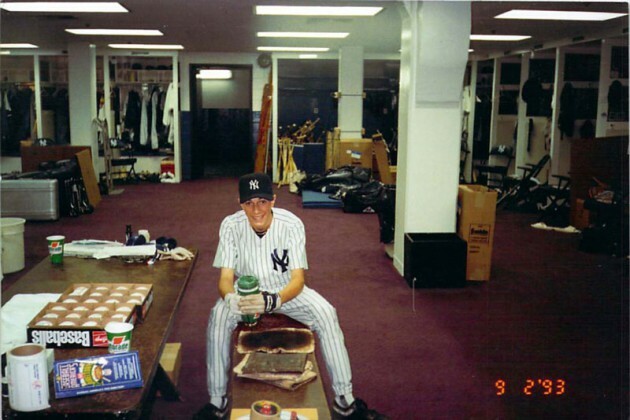 Judging from the time stamp, this photo would’ve been taken two nights before Jim Abbott’s no-hitter, just before I left for college — quite possibly the last game I ever worked. Hard to believe — and sad to think — that this place no longer exists! The New York Times from August 6, 1992. 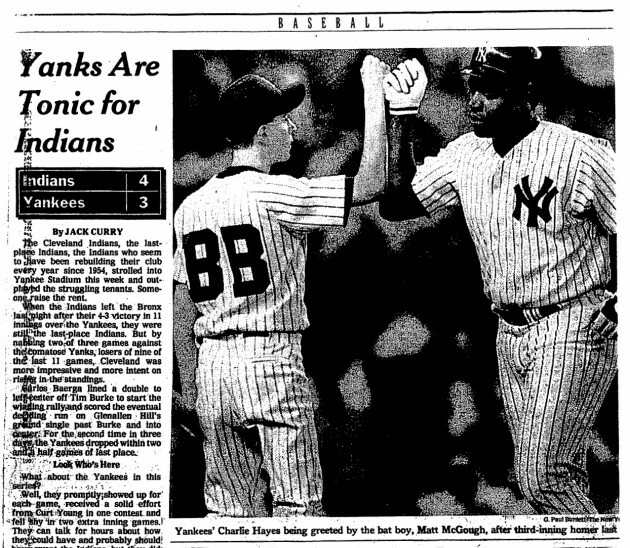 Sadly, losing 4-3 at home to Cleveland neatly sums up the era. But when I saw the paper that morning I felt like I’d hit the big time.